Check out what we can offer you below and call to book with our friendly customer support team. Prices start from £2 per sq.m. Want to get a quote or find out more? Get in touch with us by phone or by e-mail, whichever is more convenient for you. The Steam Cleaners Ilford offers professional and affordable solutions to a wide range of general and specific property cleaning needs of private and business customers. Our extensive industry experience and attention to detail have made us the preferred choice for households and businesses that are after optimal results and excellent value for money. No matter how complex or basic your cleaning requirements we will arrange and carry out a quick and efficient service delivering on our promise best results, punctuality and reliability. Working with us is a breeze – the booking process we use is swift and straightforward. Your cleaning service will be booked and ready to go before you know it. Our attentive and helpful customer consultants will advise and assist you every step of the way in choosing, formatting and customising the selected cleaning solution as per your own needs and wants. Our service range is extensive and covers a host of requirements, many of our cleaning treatments are available as one off, or on a fixed schedule basis. All services can be modified in order to meet individual needs and budget requirements. Essential cleaning solutions for you! Steam Carpet Cleaning – a professional cleaning treatment delivering outstanding results without risk of damage. Suitable for all types of natural & synthetic fibre carpets. Can be performed safely on a regular basis. Uses natural cleaning power of hot, pressurised steam. Highly effective in stain and odour removal. Have a midsized bedroom carpet cleaned for only £22! Sofa & Upholstery Cleaning – a safe and effective cleaning treatment for delicate sofa finishes and upholstery fabrics. Removes odour and staining without affecting dimensions and colour fastness. Can be performed safely on a regular basis. Most of the time there is no need to remove upholstery or sofa coverings. 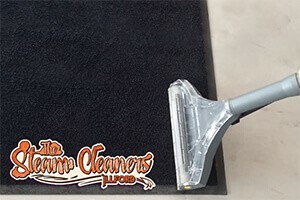 The cleaning process cannot be applied on leather, and leather-like finishes. We can steam clean a two seater sofa to a perfect finish for just £30! Mattress Cleaning – a sanitised mattress is important for good bedroom hygiene and healthy night’s sleep. Have your double mattress disinfected, and made fresh for weeks to come for just £32! Highly effective in eradication of bacteria, insect eggs, mites etc. Steam cleaning removes odours and staining without affecting mattress’ comfort properties. Cleaning can be done regularly – we recommend at least once every six months. Additional services available right now! Hard Floor Cleaning – a quick and affordable way to keep your valuable hard floors looking good at all times. A thorough and efficient service suitable for all types of hard floorings, available as one off or on a regular basis to both private and business customers. Pressure Washing – safe and efficient jet wash for all types of solid, hard surfaces. Perfectly suitable for patios, decking, pavements, driveways, pathways etc. Cannot be performed on loose surfaces. We also carry out more additional services like specialised curtain cleaning, rug cleaning for all types of natural and synthetic fibre rugs. All of these are offered at excellent prices and deliver high quality results without risk of damage. In order to ensure our private and business customers receive nothing short of the best possible cleaning services at the best possible price we have made sure our cleaners and equipment are up to the task and ready to perform at all times. We employ skilled and experienced technicians trained in the safe and efficient use and application of industry certified equipment and materials. The cleaning teams are trained to work with minimum water and resource waste. Cleaning chores can be a real nuisance, especially when trying to do a lot in short space of time. Keep on top of things with some of these useful tips on how to make your cleaning routine less of a hassle! Break down the cleaning routine in smaller ‘bite-size’ pieces and do a little bit every day or every couple of days. Keep stock of basic cleaning supplies – saves you the time and effort from buying products and supplies every time you have to do some cleaning. Know your limits – if unsure as to whether a given homemade cleaning treatment (as tempting as it may be) will do the job, don’t risk it but call in the professionals – ensure best results and no risk of damage. Carpet Cleaning Ilford is a licensed and registered business entity. We operate seven days a week including bank holidays. Our cleaning staff are checked and vetted. For more information on pricing, services and availability please speak to our customer consultants.